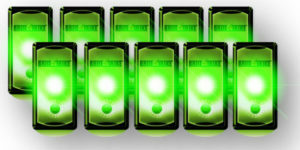 Emergency Lighted Signaling system. Can be seen 2 miles horizontal and 3 miles from the air. Works on land or floats on water. 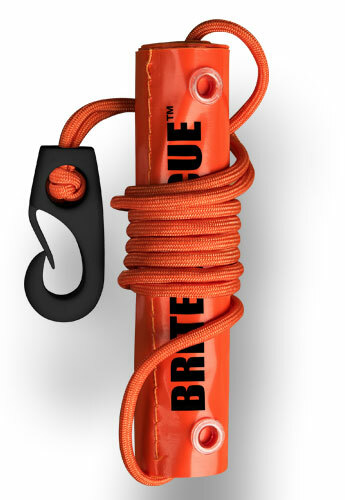 Brite-Rescue™ is an emergency lighted signaling system. Its ulta-compact size of 1.5”x5” easily fits into the neoprene pouch and unrolls to 10’ long. 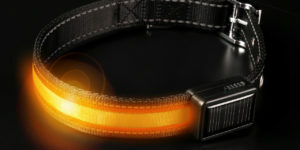 It has 6 international amber APALS-AIR®, 2 photoluminescent tape strips, 2 Solas radar reflective tape strips and offers over 200 hours each of signally capabilities or a total of 1200 hours if used individually. 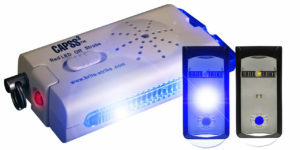 The APALS-AIR® has two strobe modes, a steady on and can be turned off and reused. 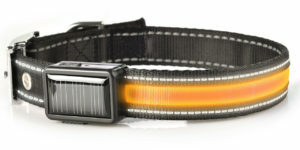 The LED’s can be seen for 2 horizontal miles and 3 by air. 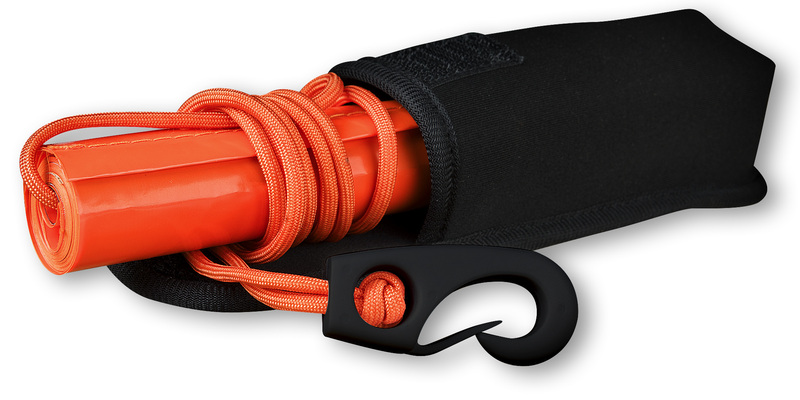 It can be used on land and floats on water so don’t take off on your outdoor adventure without one. 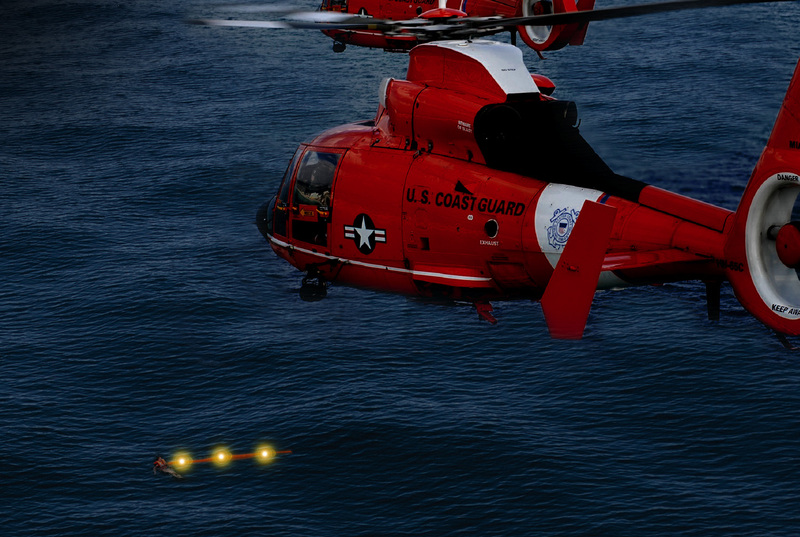 • APALS-AIR® are waterproof tested to 200 feet, shockproof Mil-Spec, NSN assigned. • Compact size: 1.5” x 5” and weighs 3 oz. Great for camping! 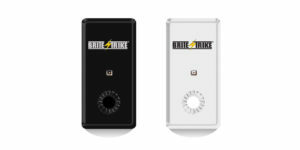 It can alert you if a potentially dangerous intruder has entered your perimeter. 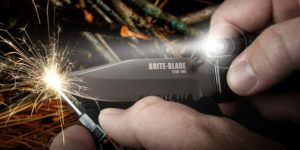 Your Brite-Blade™ TLSK is one the finest survival knives available and is perfect for everyone from public safety, marine, camping, hunting, pilots or anyone that might find themselves in a wilderness survival situation. By adding to cart, I understand and agree to the Domestic Restricted Product Policy and certify that I will comply with applicable federal, state and local laws and regulations. 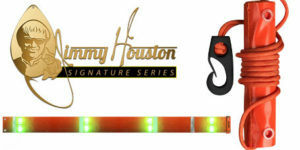 LATEST GENERATION ALL PURPOSE ADHESIVE LIGHT STRIPS,The white light strips can be stuck anywhere you need them and the flashing modes are ideal for use as emergency signaling system. 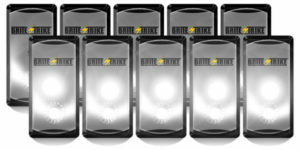 They are super thin and light with up to 200 hours of runtime. 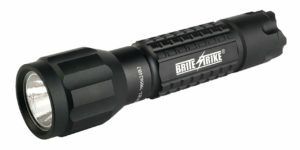 The BTL or Basic Tactical Lights have the critical design elements of all Brite-Strike® Professional Tactical Lights, such as a brilliant and smooth beam, CNC machine milled body with anodized finish. 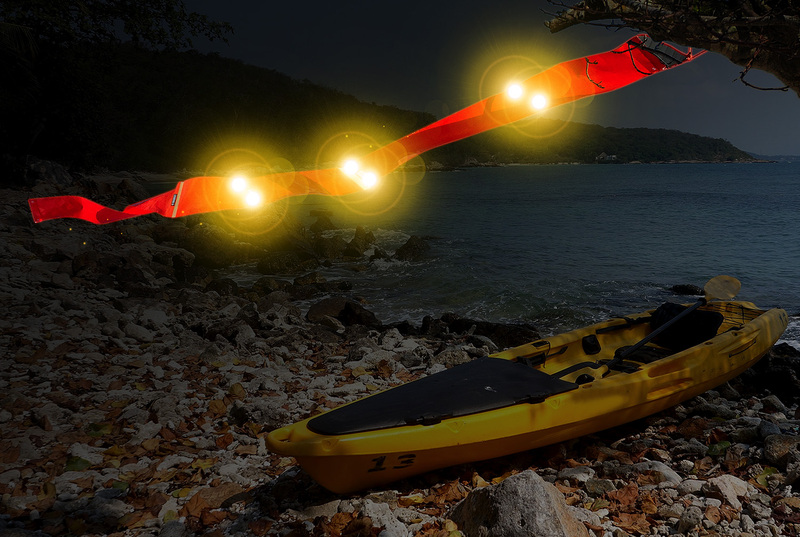 These lights are waterproof and shockproof, but at an economical price. BRINGS YOUR DECOY SPREAD TO LIFE! 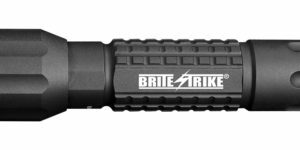 ©2017 Brite-Strike Technologies Inc. All Rights Reserved.